T.J. 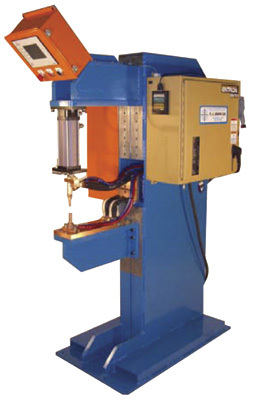 Snow Co., Chattanooga, TN, will feature a servo-actuated SlimLine resistance spot-welding (RSW) machine, a pedestal-type unit featuring an electric servo force-delivery system that offers more precision, control and feedback capability than do traditional RSW machines. A custom-designed touchscreen with color graphics offers an easy operator interface and also collects and stores weld data on a server. The machine is particularly well-suited for automated welding of nuts with a bowl feeder, since it can detect when a nut feeds upside-down and immediately stop the process.